To dispel the myth that all sustainable actions are sacrifice and compromise, Dutch renewable energy company Qurrent came up with a novel idea that introduced the element of fun to all sustainable actions. In a collaboration with Jora Entertainment, the company designed a theme park that is complete with exhilarating rides. The park serves as both an educational as well as a recreational zone according to Richard Klatten, CEO of Qurrent. He adds that within the next decade, wind energy will be ubiquitous and we agree that people need to acknowledge and appreciate this. 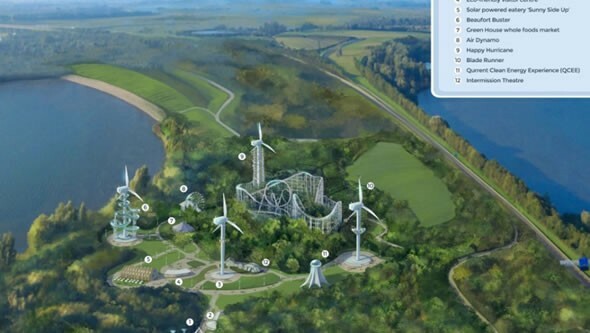 The theme park spans 8,000 square meters and all rides within it are powered by wind turbines that are strategically placed around the park. Among the most thrilling rides here is the Beaufort Buster, which is basically a water slide that spirals around a wind turbine. 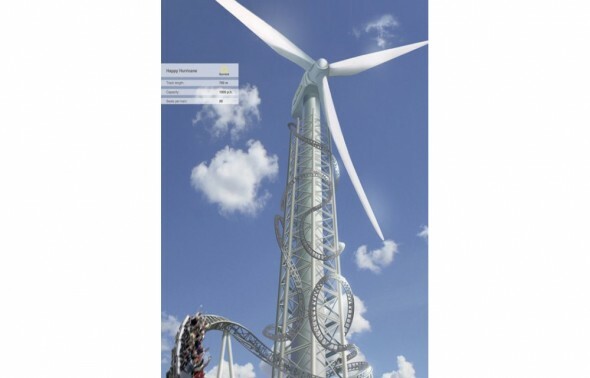 The Blade Runner is another cool ride where you can ride on the blade of a turbine, literally. This seems to be a promising proposition and there is so much more we can seek from clean energy providers around the world. Clean energy is indeed the future.